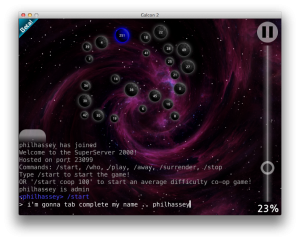 Phil Hassey » Blog Archive » Galcon 2 – beta6 – now with SFX, head-to-head, and more! 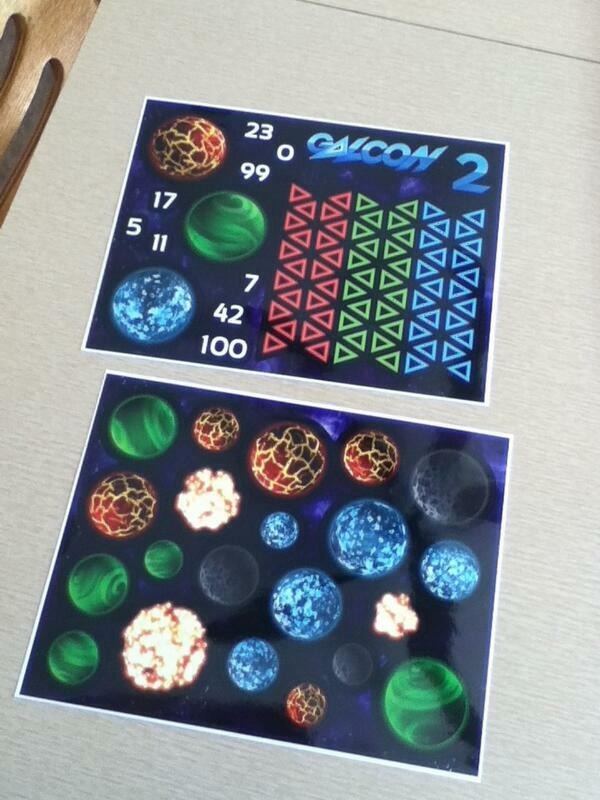 Galcon 2 – beta6 – now with SFX, head-to-head, and more! The final magnet set proofs came out great, we’re ordering the final stuff now! These are so much fun! 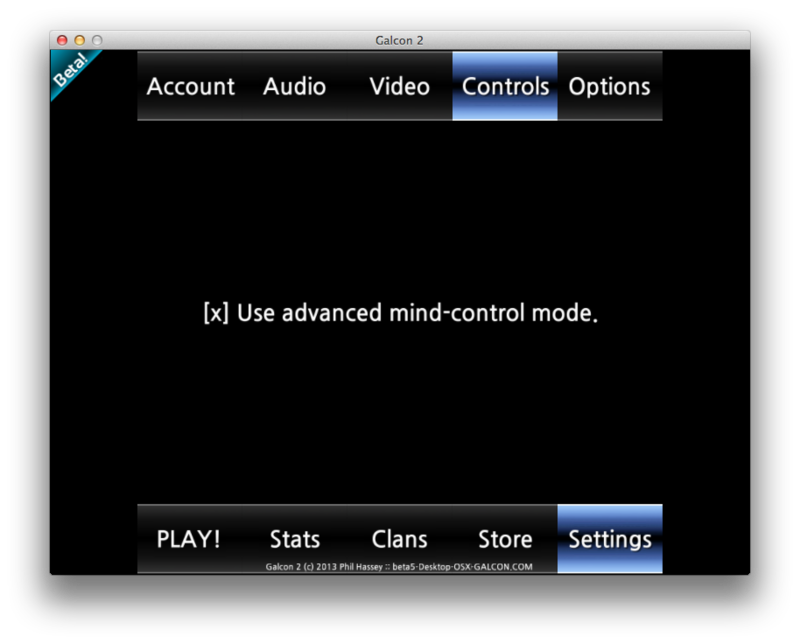 I’ve added in a “dual” mode for head-to-head play. This isn’t really “playable” on your computer, but you can kinda see what it’s going to be like for playing on the iPad. I did a huge overhaul of the client / server stuff. 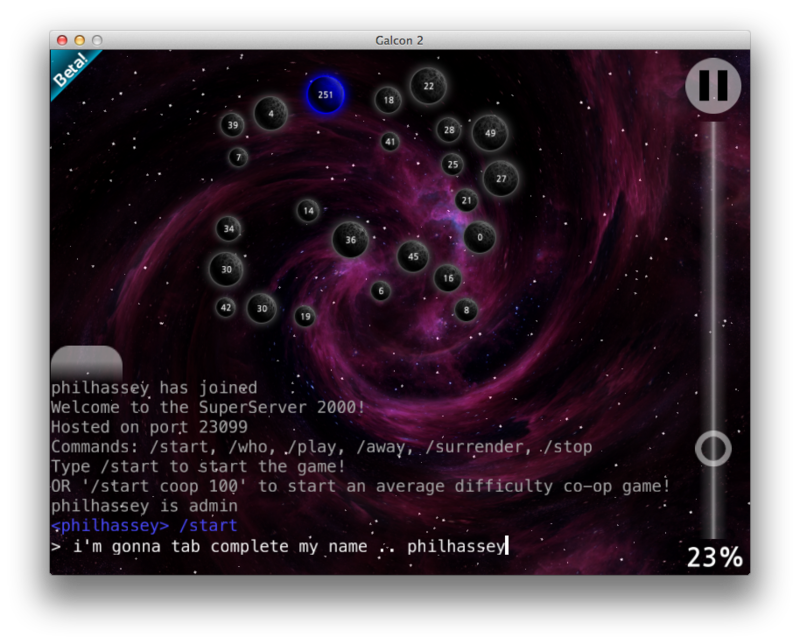 The coolest bits are the adjustable chat region and the updated co-op mode. You’ll also see in this screenshot the percent-o-meter slider. This is more useful for mobile devices, but for now it’s in the desktop version too. 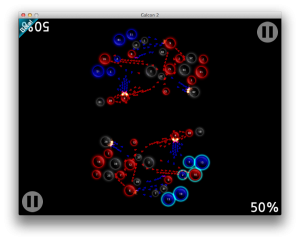 Also, I added in nice looking “Galcon Fusion” style backgrounds and fades / transitions. 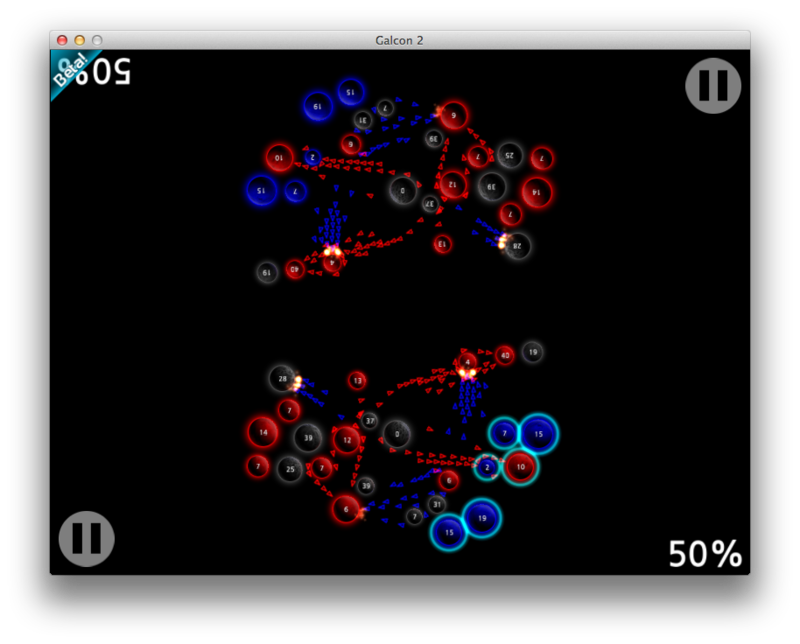 However, it felt a bit off, because the game is so beta right now, having it look polished like that seemed awkward. So I disabled them for now. Lastly I added more tabs to the Settings section. The only one with real settings is Audio as I added in the classic sound effects to the game. You’ll need to double check that they are set to on to hear the sound effects in beta6. I’m going to be hanging out in Galcon chat and on the forums for the next couple hours, so someone get a server set up and we can play!! This entry was posted on Saturday, March 16th, 2013 at 11:37 am	and is filed under galcon2. You can follow any responses to this entry through the RSS 2.0 feed. Both comments and pings are currently closed.